Rosa Parks, the woman who inspired the boycott. African-Americans endured a huge amount of discrimination in the early half of the 20th century, and by the 1950s and 60s the civil rights movement aimed to end that discrimination. Famous civil rights leaders such as Martin Luther King and Malcolm X dedicated their lives to this cause, but there were many ordinary people who became icons of the civil rights movements simply by just trying to get on with their lives in dignity. Rosa Parks was one such person. What was life like here for African-Americans? 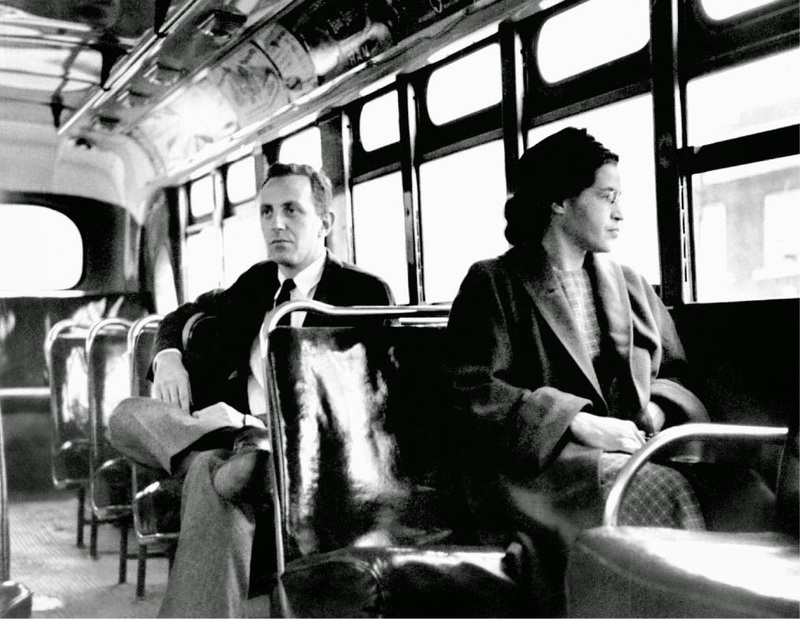 What happened when Rosa Parks boarded a bus on 1 December 1955? What was the NAACP and why did it contact Parks? Why was Martin Luther King chosen to lead the boycott? What was the outcome of the boycott? Why did the Montgomery Improvement Association choose to hold more boycotts? What were the advantages of this? What were the risks? What was the Transportation Committee? What role did black churches play? How did the city authorities and the police attempt to undermine the boycotts? What was the outcome?How did the media influence events? How did the Supreme Court's decision in 1956 change things? What was the outcome? Results of the Montgomery Bus Boycotts: What were they? Rosa Parks receiving the Presidential Medal of Freedom award from President Bill Clinton in 1996. She died in 2005, aged 92. How was the 1956 Montgomery bus boycott carried out and how successful was it? 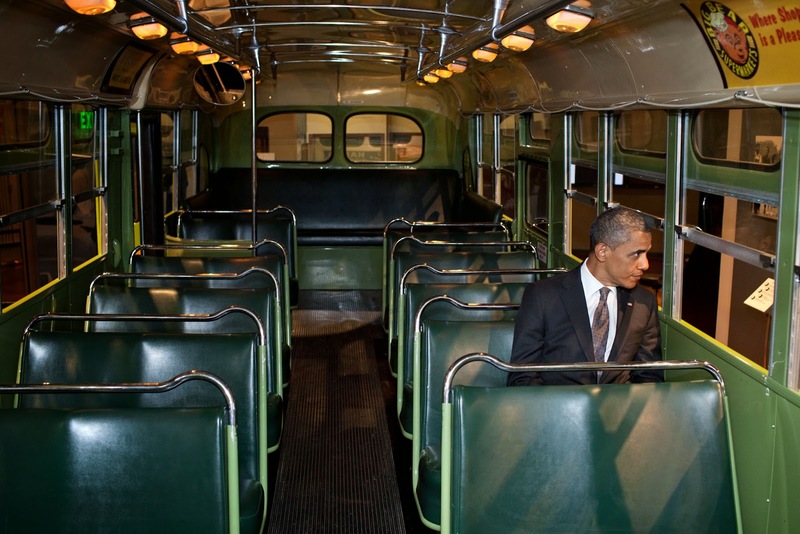 President Barack Obama sits in the same bus in which Rosa Parks refused to give up her seat. It's now on display in the Henry Ford Museum.